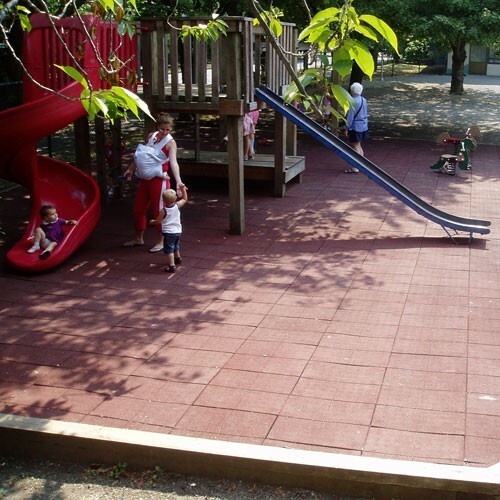 PlayFall Rubber Playground Safety Surfacing is designed to meet the stringent ASTM requirements for playground fall safety and is available in two thicknesses (1.75" & 2.5") to match the fall heights of most play equipment. Each single rubber safety tile covers 4 square feet. Available in Terra Cotta and Green.